San Diego and two construction firms have agreed to pay a San Diego man $20 million who will spend the rest of his life in a wheelchair after riding his bicycle into an open construction trench in Sorrento Valley in December 2017. Sheng Du was riding his bike on the 11500 block of Sorrento Valley Road at around 8:45 am in the southbound bicycle lane. That morning KTA Construction crews were excavating and refilling six large trenches in the southbound bike lanes. Crews had closed the bike lane and set up traffic control devices, however, Du continued to ride on the lane and suddenly rode into a 2-foot wide ditch that stretched across the bike lane. The impact launched Du off of his bike, sending him head first into a large pile of dirt and rock used for the water main replacement project. According to court documents obtained by NBC 7, engineering firm Harris and Associates will pay Du $14.25 million while KTA Construction will pay $4.25 million, and the city has agreed to pay $1.5 million. City council is expected to announce the settlement during a April 9 city council meeting. 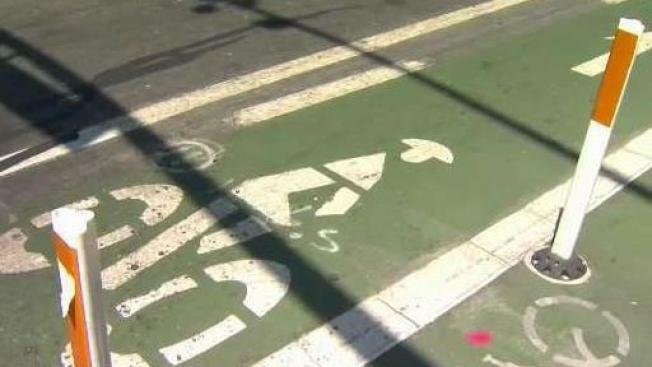 The settlement comes as the city continues to fight numerous lawsuits over inadequate and dangerous bike lanes in the City of San Diego. In March 2017 the city paid $4.85 million to a San Diego man, Clifford Brown, for injuries he suffered after getting launched from his bike after riding over a upraised portion of sidewalk in Del Cerro. The city has since settled several other lawsuits filed by injured cyclists since but Du’s settlement is the largest payout since Brown. Du and his wife filed a lawsuit in March 2018 against the City of San Diego, Harris & Associates, and KTA Construction. In the lawsuit, the couple allege that the city and the two construction firms were negligent in failing to ensure safe access and for knowingly putting pedestrians and others at risk of injury. The City of San Diego did not respond to a request for comment in time for publication. The story will be updated when and if it does. A spokesperson for Harris and Associates called the incident a "tragic accident" but declined to comment on pending litigation. KTA Construction also did not respond to a request for comment.